"Global perspectives for an American audience"
Last week, Public Radio International ran what appears to be their first story on Ásatrú (“Æsir Faith,” the modern iteration of Old Germanic religion). Unfortunately, their reporting left a lot to be desired. 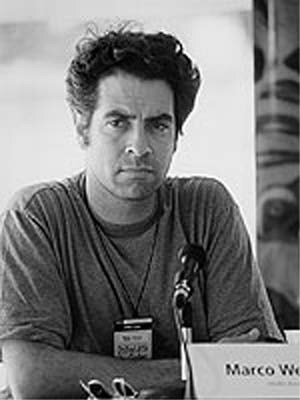 The item was broadcast on “The World,” a nightly show hosted by Marco Werman. It was ostensibly a news item on the addition of Thor’s hammer to the official list of “available emblems of belief for placement on government headstones and markers” by the U.S. Department of Veterans Affairs – an event that was widely reported by the pagan media back in May, but completely ignored by mainstream news media and religion reporters. “The World” website post about the story was even worse. It featured a photo of an overweight fanboy dressed in a Thor costume based on the Marvel Comics movie. 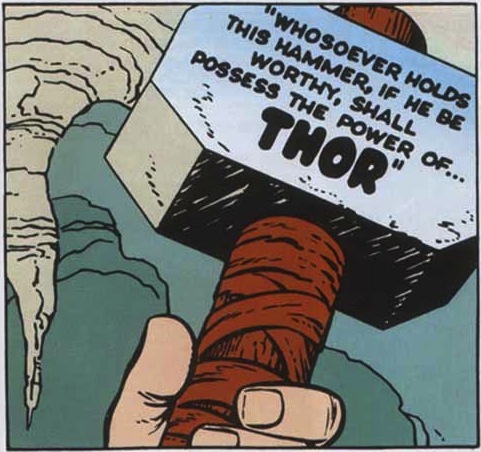 The write-up on the website clearly stated that the side of Thor’s hammer is inscribed with the words, “Whosoever holds this hammer, if he be worthy, shall possess the power of… THOR.” Unfortunately, this is a quote from the 1962 first appearance of Marvel’s superhero version of Thor in the comics created by Stan Lee and Jack Kirby, not from the actual mythology or religion. Epic fail. Seriously. On Monday of this week, I started a letter-writing campaign via my Norse Mythology Online sites on Facebook, Google+, Pinterest and Twitter. I called upon heathens and the heathen-friendly to “send a polite letter [to Public Radio International] expressing your great disappointment in their complete and utter disrespect for minority religions.” I asked why PRI had not contacted Josh Heath, an army veteran who was at the center of the quest to have Thor’s hammer approved as a grave marker. I spoke at length to Josh and his wife Cat about their work in my three-part feature on “Heathens in the Military” for The Norse Mythology Blog earlier this year. Their efforts on behalf of Ásatrú military via their Open Halls Project should have been at the core of PRI’s piece, but were not even mentioned. The response was amazing. PRI’s Marco Werman said “we heard from many, many heathens.” On Tuesday, producer Nina Porzucki (who wrote the article for the show’s website) called me and apologized for the disrespectful story. She asked me about Ásatrú for over 90 minutes. 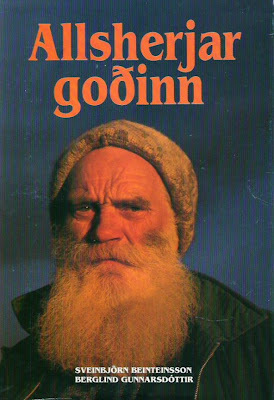 I went into great detail about the ancient roots of Norse religion in northern Europe (all the way back to 2000 BCE), the development of the religion through the Viking Age, the era of Christian conversion, Sveinbjörn Beinteinsson's founding of the Ásatrúarfélagið (Iceland’s “Æsir Faith Fellowship”), the subsequent worldwide revival/reconstruction and much more. On Wednesday, Porzucki recorded a twenty-minute interview with me on the nature of Ásatrú and the meaning of Thor’s hammer. She also interviewed Josh Heath. As with me, she first had a very long background conversation with him, then recorded an interview for broadcast. I put her in contact with Hilmar Örn Hilmarsson and Jóhanna G. Harðardóttir – leaders of the Ásatrúarfélagið – but she never spoke to them. On Thursday, “The World” aired a short follow-up story. Between the two of us, Josh and I had spent nearly three hours on the phone with Porzucki. In multiple emails, we had sent her background information, contacts, sources and images. The final piece was two-and-a-half minutes, with a few seconds from each of us. There was no apology given on-air or on the website. The online story has been “updated,” but still features the chubby guy in the movie costume – and no apology for the disrespectful original story. Porzucki specifically asked me to talk on the recording about the symbolism of Thor’s hammer, which was the crux of what the original PRI item purported to be about. I didn’t expect that there would be an extended feature on “The World” about this, but she only used one sentence of a twenty-minute discussion. She didn’t use any of the images or source material that she asked me to send her for the website. I’m not surprised by any of this. I’ve written before about public radio’s poor coverage of minority religions (as part of an article on “Obama and Ostara”). What did surprise me was the amazing response to my call for a letter-writing campaign. There are a lot more HOPI (heathens of positive intent) out there than even I thought, and they are ready to call out the media when their religion is misrepresented. This is a wonderful thing. What follows is the complete text of my answer to PRI about the meaning of Thor’s hammer. I understand that the media edits interviews down to fit time and space constraints, but I also feel that this case was bit extreme – especially given the questionable nature of the original piece and the massive criticism it received. 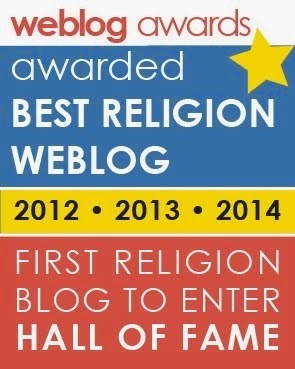 I hope that readers will find my summary of symbolism interesting, and I offer it as a thank you to everyone who stood up for Ásatrú and wrote a heartfelt letter to public radio. In the myths, Thor’s hammer is the most valued treasure of the gods because Thor uses it to defend both gods and humans from the giants, who represent the destructive forces of nature. 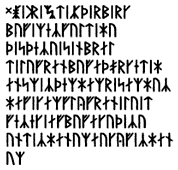 This protective function is reflected in religious objects, like an eleventh-century Swedish amulet that says “may the lightning hold all evil away” and “may Thor protect him with that hammer.” Written in ancient runes, the text from the small copper pendant calls upon Thor to protect Bofi, the wearer, as he travels over sea. Here I carved for you help, Bofi. Help me! Knowledge is certain for you. And may the lightning hold all evil away from Bofi. May Thor protect him with that hammer which came from out of the sea. Flee from evil! It gets nothing from Bofi. The gods are under him and over him. There is a fish inscribed on the amulet, and the reference to the gods being “under him and over him" suggests Bofi is on the water. The line about Thor’s hammer coming “from out of the sea” refers to the famous myth of Thor’s fishing trip, when the god struggles to pull the destructive World Serpent up from the sea's bottom and throws his hammer into the water after the monster. This is clear example showing that the hammer is a representation of Thor’s sacred function – a symbol of his protective role. The protecting function shades into a blessing function. One of Thor’s many secondary names has been interpreted as “Blessing-Thor.” In the Icelandic sagas, there is record of people making the sign of the hammer over food as a symbol of blessing. In the myths, Thor uses his hammer to bless both a marriage and a funeral pyre. Back in the Bronze Age, we can see reverse echoes of what later developed into what we think of as “Norse religion.” There are carvings from this early period of godlike figures with axes or hammers that suggest a blessing role, and there are actual axe heads that seem to have been votive offerings. There’s also a famous Bronze Age carving of a large figure raising an axe or hammer over a man and woman in a gesture of blessing. The blessing ritual seems to have been a practice that lasted in some form for over 2,000 years, from the Bronze Age through the Viking Age. The later literary sources suggest that the hammer was used to bless the bride, probably as a fertility symbol – a practice that is clearly related to the practice of blessing newborns with the hammer to welcome them into the community. There is a lot of evidence for the funeral function. Even around 1300 BCE, there are images of axe heads in northern European funeral sites, so there is already an association between the axe or hammer and the grave. 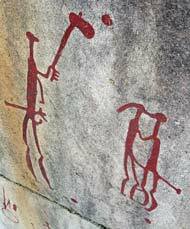 Although the hammer is the most common image in later representations, the axe still shows up as a parallel sacred symbol in much later archeological and literary sources. 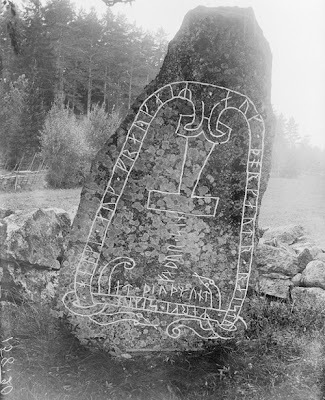 Images of the Thor’s hammer appear on Viking Age memorial stones in Sweden and Denmark, many with direct written appeals to Thor to bless the monument and burial site. The texts generally follow a formula and say “May Thor hallow these runes,” “May Thor hallow this memorial” or simply “May Thor hallow,” but one Norwegian inscription actually says “take to yourself the body lying beneath this stone.” Many Thor’s hammer amulets have been found in burials over a wide range of time and place, and their inclusion again suggests a protective function. In one myth, Thor brings his dead goats back to life with his hammer, with suggests a connection to resurrection or welcoming into an afterlife that may be related to the funeral imagery. Taken together, the historical evidence suggests that the hammer blessed major life events – birth, marriage, death – but it was also used in feasting, claiming land and marking boundaries. In other words, it blessed all the ways that members of a community relate to each other. 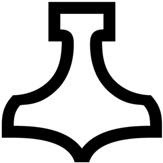 So, wearing the sign of the hammer is an expression of belonging to a community – in both life and death. Small hammer amulets worn as necklace pendants existed centuries before the Viking Era, but they had a surge in popularity when Christianity came to northern Europe. Converts to Christianity (the “New Way”) wore small crucifixes to mark their new faith. 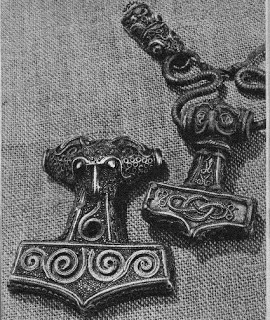 Those who chose not to abandon the religion of Odin, Thor and Freya (the “Old Way”) wore hammer amulets to express loyalty to the faith of their forefathers. Again, the hammer is used as a symbol of Thor’s protection – in this case, protecting his followers from the invasion of the new religion. In addition, it is again a symbol of community. Today, heathens who wear Thor’s hammer amulets or place it on their grave markers are consciously continuing the ancient usage. The symbolic thread that runs strongest through all eras and places and people is a sense of community. By wearing Thor’s hammer, you are declaring that you are part of a specific community. Community might mean just your family. It might mean a small group in your area that meets up. It might mean a regional network or national organization. It might mean an expanded group of people around the world who share your worldview. By wearing the hammer today, you are also connecting yourself to the community that wore it over a thousand years ago – a community across time and space. In that sense, the hammer of Thor has done what the ancient people believed it could – it has preserved the community and enabled it to survive across the boundaries of life and death. That’s pretty amazing. Great work on your part. I know Josh Heath from ECT. I think you both should be interviewed by Krista Tippet on her Sunday morning NPR show "On Being". I listen to On Being when I can and often wished Tippet would interview someone that would give a positive view of Asatru. Kudos to you for fighting the good fight! I've recently begun looking into Norse mythology. I found this article on twitter and I must say that due to reading this I am so much more intrigued. The detail on Thor's hammer and the way you closed with the statement of community has me really turned on to learning more. Mostly, I wanted to say thanks for writing and giving me more insight on all of this. Have you read Lotte Motz's "the germanic thunder weapon"? Thanks for the suggestion. 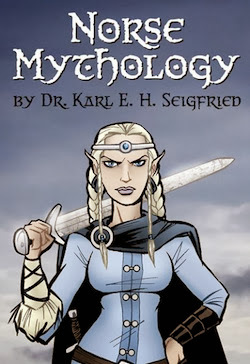 I've now added the article to The Norse Mythology Online Library. You may be interested in Blinkenberg's The Thunderweapon in Religion and Folklore, which is available as a free download here. I enjoyed reading the article, very informative. 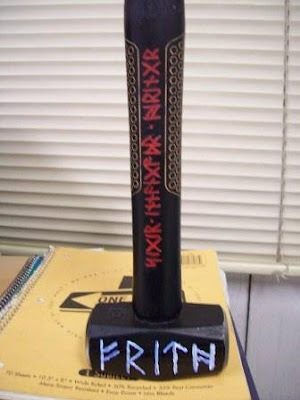 I couldn't help but notice that the picture of the very well built mjölnir has the words "frith" carved on him in Fuþark. should be spelled out as "F-R-I-Þ" [Fehu-Raido-Isa-Thurisaz], and not as "F-R-I-T-H" [Fehu-Raido-Isa-Tiwaz-hagalaz]. My first comment is: by what right does any government have ANY say whatsoever in the type of grave marker or symbol that people use for their dead, their religions, etc? It should be none of their business!